Hello you lovely lot! I'm Kate and I blog at sugarfixxbeauty.com. Big thanks to Stacey and Gemma for letting me guest post at Expat Make-Up Addict. I decided to throw together a little face of the day type post - I slapped a little make up on my face today just incase I had to venture out of the house. For me, this is actually a really minimal look with no eyeshadow or liner. I like to call this my 'sunday face' as it literally takes 5 minutes to apply. face. I like to apply this with my elf Powder Brush which is my go-to for foundation. It buffs and blends within seconds. On the concealer front, I popped a little L'Oreal True Match under my eyes and on any blemishes. This is a very lightweight consistency and blends into the skin well. I don't find this creases on me at all. The only downside is that it's definitely a little too yellow toned on me. My eyebrow game remains the same as it is all day'eryday - Anastasia Beverley Hills Brow Wiz in Taupe. If you're into your brows then you need to get on the ABH wagon. It has a really waxy texture that fills the brows in with ease and leaves a natural finish. The spooley is really handy too! On my eyes, I left it super minimal with a few coats of my current favourite mascara, Bourjois Volume 1 Seconde* which adds a good amount of volume and length. It's a really good layering mascara and doesn't go clumpy at all. I finished off the skin with some bronzer because I definitely need some colour in my cheeks. 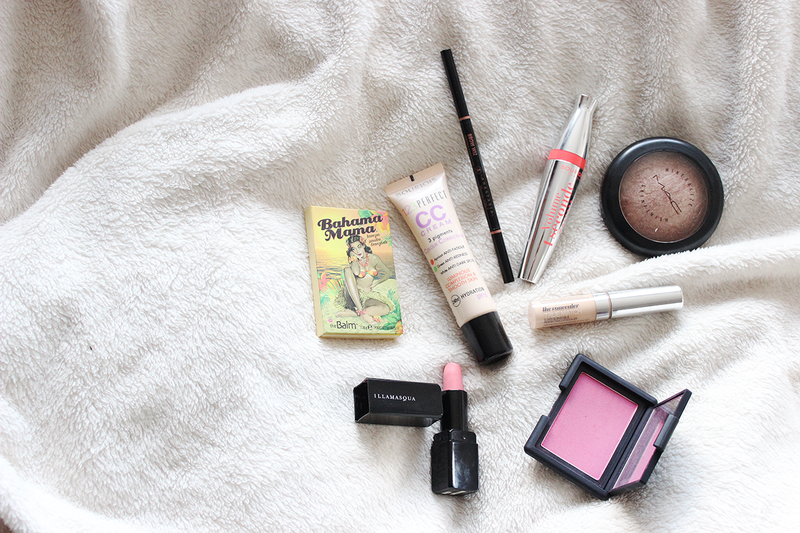 Today I went for theBalm Cosmetics Bahama Mama which is probably my darkest bronzer. That's not to say it's to be avoided, oh no - it's really pigmented but a little sweep across the cheekbones and forehead really warms the complexion and adds shape. 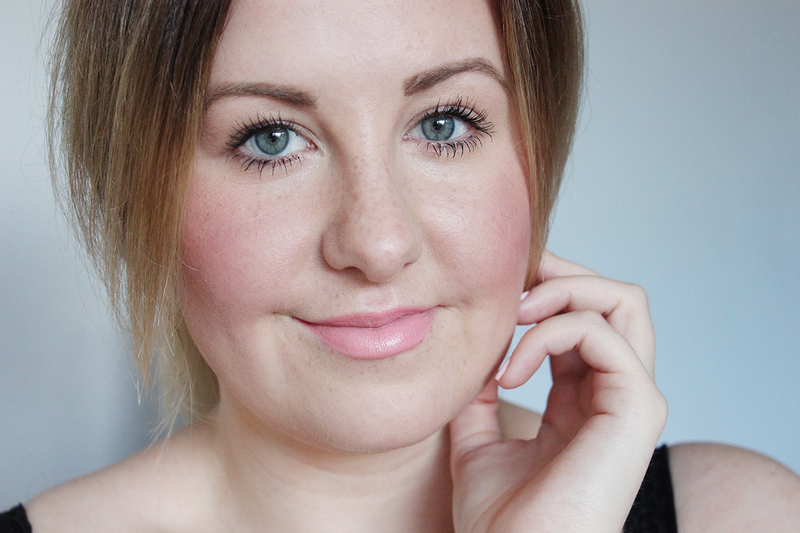 For a pop of colour on my cheeks I added some NARS 413 BLKR Blush* which is a bright rosy pink. This one is extremely pigmented and I've found a little too much heavy handedness can result in a blusher-overload. 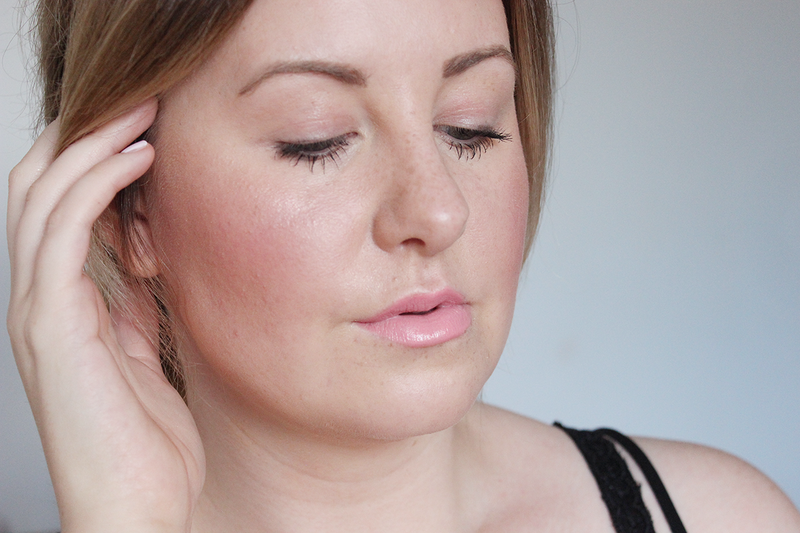 NARS blushes are top-notch all round. comfortable but it's slightly glossier which gives a much more natural finish. What are your weekend staples?